Roman rhetorician Marcus Quintilian once said, "We excuse our sloth under the pretext of difficulty." 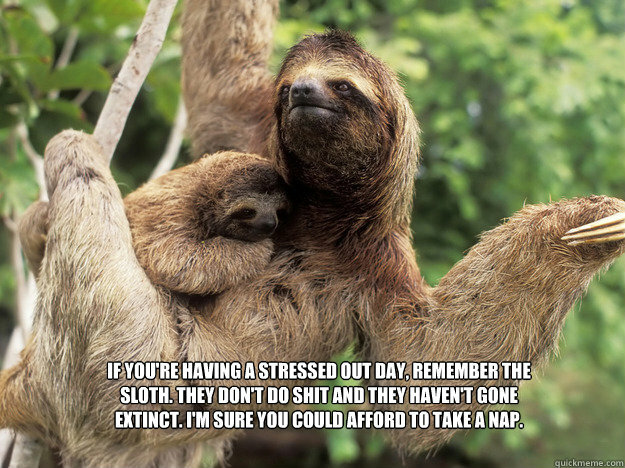 Wiser words were never spoken, because when I have difficulty doing basically anything, I'll abandon it to look at pictures of sloths. Need to go to the grocery store and do laundry? Sloths. Have to go to the DMV to argue that my license isn't expired? 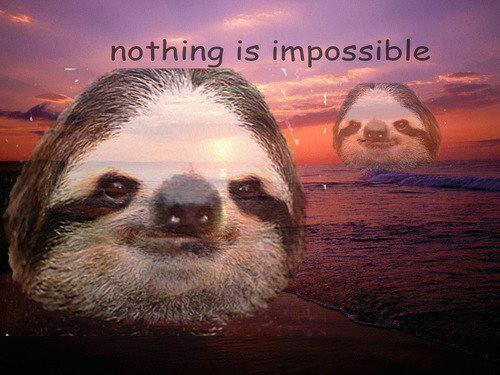 Sloths. Need to write a compelling article about an interesting and entertaining aspect of gaming? 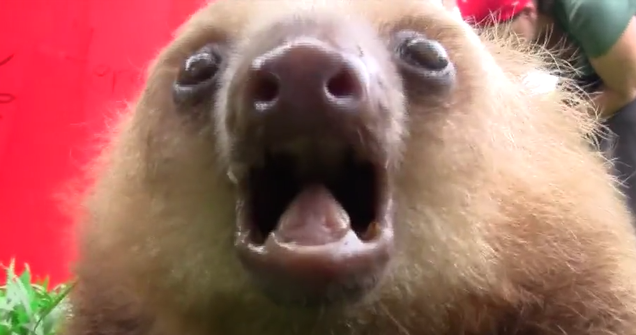 Sloths, sloths, sloths. Thankfully, this time around my crippling sloth habit isn't a bad thing, as I am now thoroughly well-equipped to write about video game sloths. You'd think a creature like the humble sloth would have little place in the fast-paced world of gaming, given that they go about 1/10th of a mile per hour when they're feeling speedy. But through my extensive research I was able to dig up a whole slumber of gaming sloths, and you will want to cuddle well, most of them. Don't let the hilariously long arms and three-toed-ness fool you - if there's such a thing as an unappealing sloth, The Fool is it. A corpse-gnawing undead beast, the Fool has the general look of a sloth but stops short of being anything at all like one. There's the corpse eating for one thing (so not cute), but it's also stupidly fast (so not slothish), which makes it one hell of a tough fight as it bounds around its death cage like the cousin Sonic keeps locked in his basement. Plus, with the speed of Flash Gordon comes the claws of Wolverine, and you can expect to see the Fool descending on you with the barbed will of an uncaring god. Like I said, not cute. Gotta catch 'em all? More like Gotta catch some Z's if you're Slakoth, the adorable sloth Pokemon that's lazy enough to rival Snorlax. In addition to having a heart that beats once a minute and maintaining a supermodel diet of three leaves per day, its signature moves include 'Slack Off' and 'Yawn'. Even when it's doing something it's being lazy! This adorable little critter eventually evolves into the baboon-like Vigoroth, then the ape-shaped Slaking, proving that the Pokemon series has an odd concept of how evolution works. Apes have had the run of space for far too long, now it's the sloth's time to shine! In Star Sloth, you play as an intergalactic delivery sloth serving the many astronauts hovering in the endless void of the universe. You'd think most of them would want a rescue sloth instead, since they're floating helplessly through space and all. But no, all these spacefolks want is some takeout, and your sleepy space sloth is the one to deliver cheeseburgers to them at missile-like speeds. There are many dangers ahead, mostly in the form of needless floating mines, but don't worry - the little guy's burgers work great for destroying high grade military ordnance. Insert product placement here. Nicknamed Sloth in pre-release material and a walking (well, sitting) embodiment of laziness, psychopath Teddy is otherwise disappointing as a sloth. While unwilling to leave his chair due to appropriate levels of lethargy, he is never seen scaling trees, dining on leafy foliage, or falling asleep in a bough mid-climb. He also lacks the grace and charm of the elegant Bradypodidae, and I think I speak for many of us when I say his ultraviolent actions and death by clogged arteries engendered no desire to boop his nose and squeeze him tight. Slothful? I think not. I suppose the half-plant, half-animal beast known as Sloth deserves points for getting the foliage part right - it is, in fact, covered in leaves (though I think sloths are supposed to be full of leaves, but whatever). That's where comparison to the adorable three-toed beauties ends, though. Specifically, Sloth is an undead monster summoned from swampy depths by the ghoulish Lord Malathorm, and sloths are adorable balls of sluggish cuteness. Close, but no - your standard sloth would prefer to spend its time eating this swampy leaf-creature in peace. Sloth Patrol confidently bills itself as a "100% realistic sloth simulator based on years of painstaking research." Apparently this was research not into our humble earth sloth, but Star Wars knock-off space sloths in a battle for existence against the evil Possum Empire. I was skeptical, since I couldn't determine the behavior or cuteness of sloth protagonist Julio Treewalker beneath the fuselage of his super speeder, but gave it a look either way. The game has quite a lot of space shooting and not nearly enough adorable leaf-eating, so though its space-sloth behavioral patterns could be accurate, I have my doubts. Heck, he didn't even fall asleep at the wheel! So if you're ever played QWOP before, then you have a general idea of how to play Sloth Quest - wait no come back! Yes the controls may be awkward as you individually control each of the sloth's ungainly arms, but push your way through that and you have a true look into the life of a good ol' fashioned Earth sloth. Moving lethargically through a jungle filled with hungry alligators, finicky snakes, and sheer plummets into empty space where the ground should be, this QWOPish little guy shows you what a sloth's life is really like. That includes the occasional battle with a balrog, which sounds kind of off. But hey, I'm no slothologist, so what do I know? Congratulations, you made it all the way through an article about sloths without exploding from their adorableness and/or falling asleep from their somnial aura. You doubtlessly are way less productive than you meant to be today, but you know what? 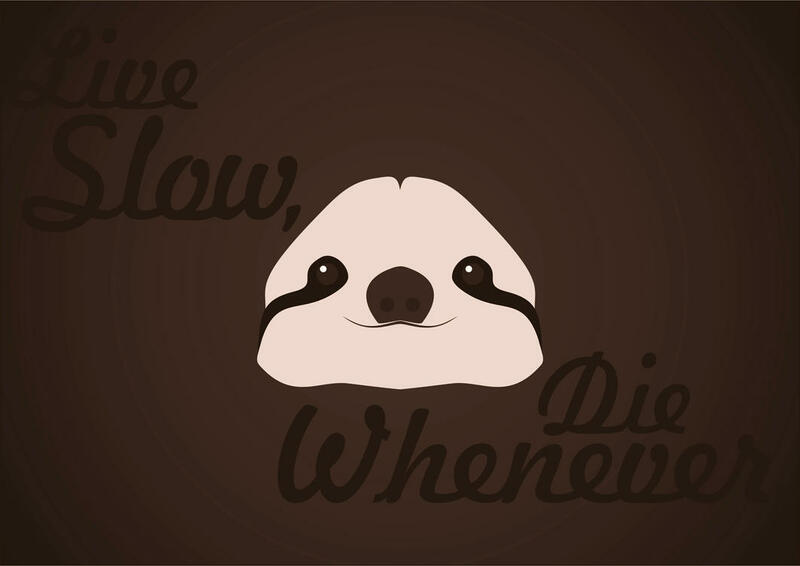 You're probably happier for it, and take it from any sloth: sometimes it's good to slow down a little. Feeling a little lazy after reading about these cute, nearly comatose creatures? Then it's the perfect time to kick back and read some more awesome features, like our most anticipated games of 2015, the 8 most bizarre PlayStation games you've never played, and Top 7 Doomed characters that are definitely going to die. Go on, indulge.